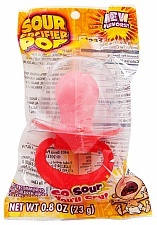 A Blue Raspberry Sour Pacifier Pop - "So sour you'll cry!" 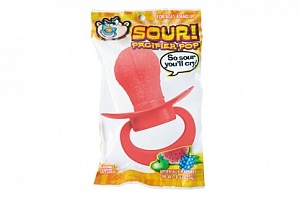 These hefty pacifiers are certainly not for babies! 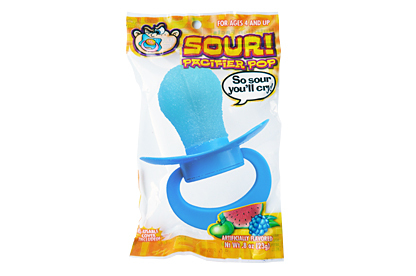 Coated in sour sugar, this blue raspberry flavour sucker claims to be "So sour you'll cry!" 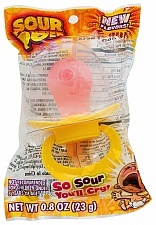 - maybe a little ironic for a pacifier, but they really do pack a punch. 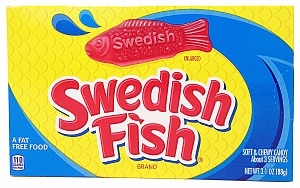 After you're through the sour layer though, these become far more gentle... maybe to cheer you up after making you cry! 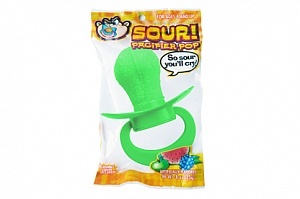 These are great novelty items, popular for baby showers and other themed events. Or you can just get them for yourself - that works too! 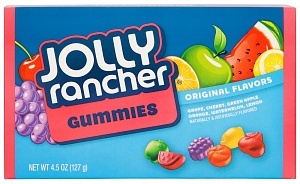 Sugar, Glucose Syrup, Water, Artificial Flavour, Citric Acid, Acidity Regulator (E331), Malic Acid, Colours (E171, E133).